The Raspberry Pi is a great mini PC for all kinds of hardware projects, and it's extra cheap right now on Arrow. The Raspberry Pi 3 Model B is a flexible little piece of tech. You can use it for hardware hacking projects, as a home theater PC (HTPC), or even a retro gaming setup. It’s already dirt cheap at the standard price of $35, but right now Arrow is offering it for $24.50 after a 30 percent discount. That discount isn’t quite as good as the 36 percent discount on Amazon in February, but it’s close—and more importantly, the price is better. To take advantage of the sale, enter the code RASPI30 at checkout. For your money, you get the most bare-bones of bare-bones PCs. 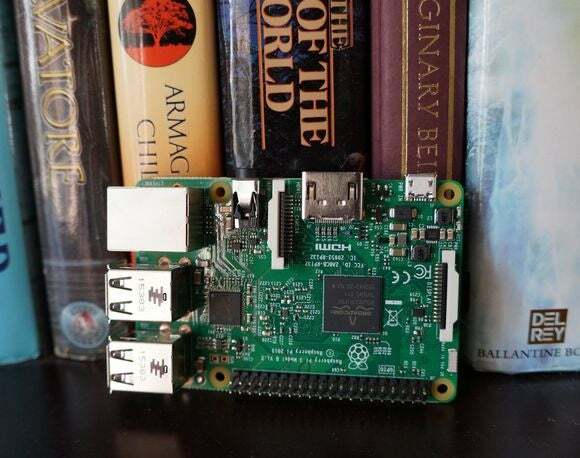 A Raspberry Pi device features only the PCB board and its attached components. There’s no case or power supply included, so you’ll have to obtain those separately. Most people likely already have what they need for power—a micro USB cable and a spare 5W charger—but the case will likely have to be purchased if you don’t already have one on hand. The board itself features a 1.2GHz quad-core 64-bit Broadcom ARMv8 processor, 1GB of RAM, built-in Wi-Fi and Bluetooth, four USB 2.0 ports, HDMI, ethernet and a microSD slot. If you need ideas for what you can do with it, we’ve got both practical and whimsical suggestions for you.